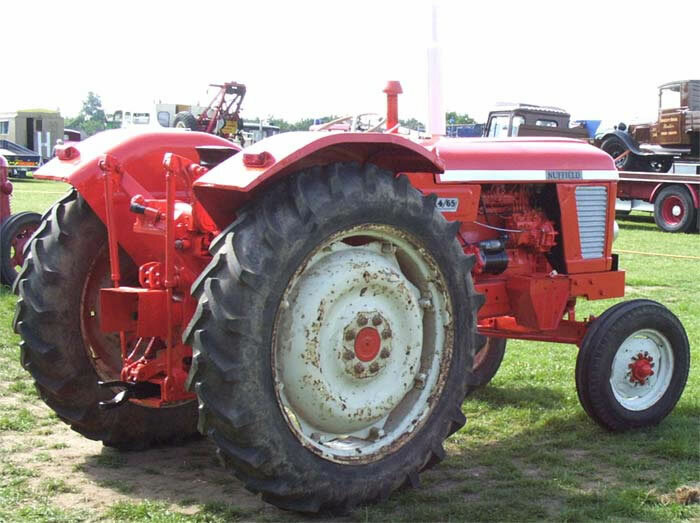 Another view of a Nuffield 4/65 Diesel Tractor. Transmission was via a ten forward and two reverse speed gearbox, maximum speed in high gear approached 20 m.p.h. The price at launch of the deluxe 4/65 with independent power take-off was £1,044.10s. A 15 gallon fuel tank was located in front of the radiator.